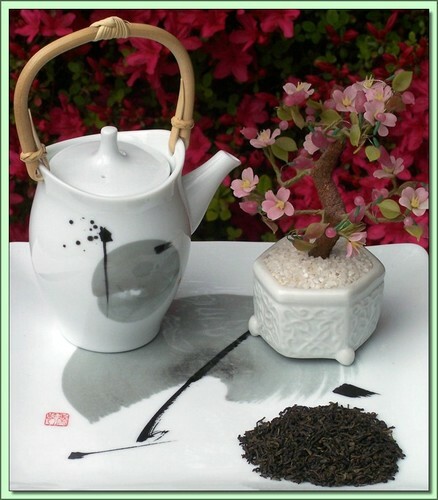 Character: Exquisite, abundant Jasmine character on a seasonal green tea only possible with midnight May flowers. This tea is a particularly good jasmine - hence the moniker Gold Dragon, (gold means wealth, prosperity, money and dragon means long life and strength). The jasmine tree comes into bloom only during May and June. The blossom only lasts for about 12 hours and only comes out at night. About half way through the night the fragrance is at its peak and the blossoms need to be picked and layered into the tea. By the morning most of the fragrance has disappeared from the blossom, but if the tea maker has done his job correctly, this heavenly scent has been transferred to the tea and captured in time. This process is carried out on 5 successive evenings to impart the superior flavor of specially selected tea and jasmine flowers. Organic tea is produced without the input of chemical fertilizers or pesticides and herbicides. Certified Organic by QMI Organic Inc. Certificate #: 150 - 2008. USDA Certified Organic.